Victoria Square in Belfast opens to the public on March 6th 2008. 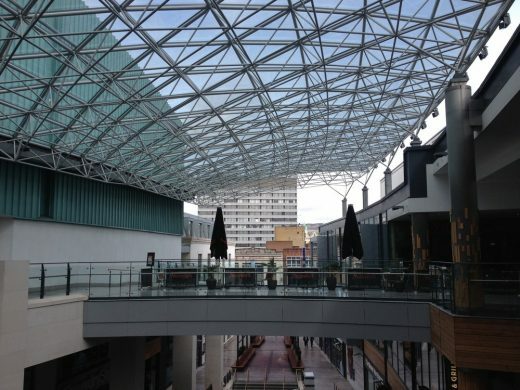 With a construction cost of approximately £160m, this landmark mixed-use city centre scheme has already changed the skyline of the city with its dramatic glass dome. 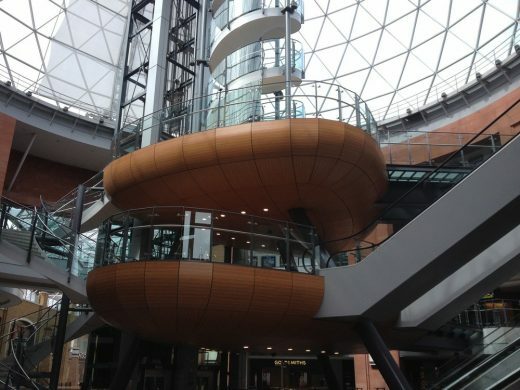 BDP has been working on Victoria Square since the scheme’s inception in 1998. From site identification and planning consultation, to concept work with client Multi Development through to detailed design and construction phases, BDP has spent the equivalent of 140 man years to make this vision a reality. Victoria Square comprises 75,000m2 of retail space, including a flagship House of Fraser store, two-level food court, a restaurant terrace, 106 apartments and an eight-screen Odeon cinema, over a two-level basement car park for 1000 cars (Northern Ireland’s largest underground car park). 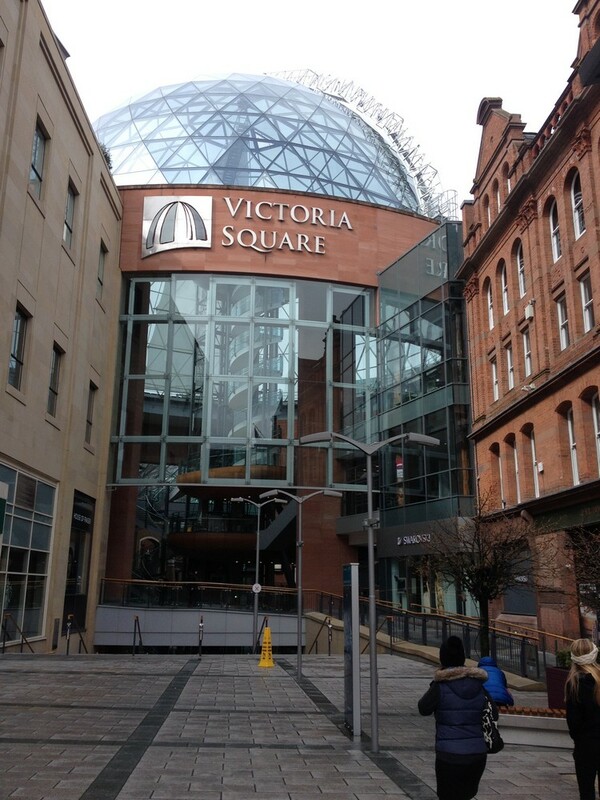 Victoria Square bases itself on an open street model more prevalent in mainland European cities: it is an urban grain streetscape, not a mall. Every facet of the footprint connects with the city, establishing new relationships between previously disjointed areas of the public realm. The architecture successfully integrates itself with the surrounding streets using a variety of materials to complement the proportion and massing of the building elements which acknowledge the scale of existing city plot sizes. An entire high quality urban neighbourhood is woven into the city fabric through the provision of multi-level pedestrian streets and exciting mixed-use facilities which support a 24 hour economy. 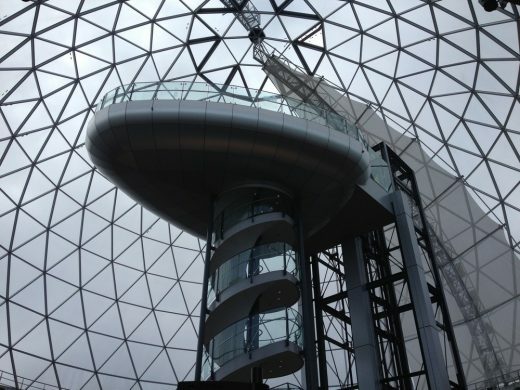 The showpiece glass dome space is the heart of the project with floating platforms linking all levels of circulation. The 37m diameter dome rises to 45m above lower ground level and comprises 635 triangular panes of glass. 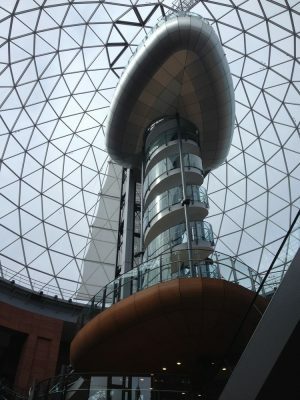 It is an intentional set-piece and has already become an iconic image on Belfast’s skyline. 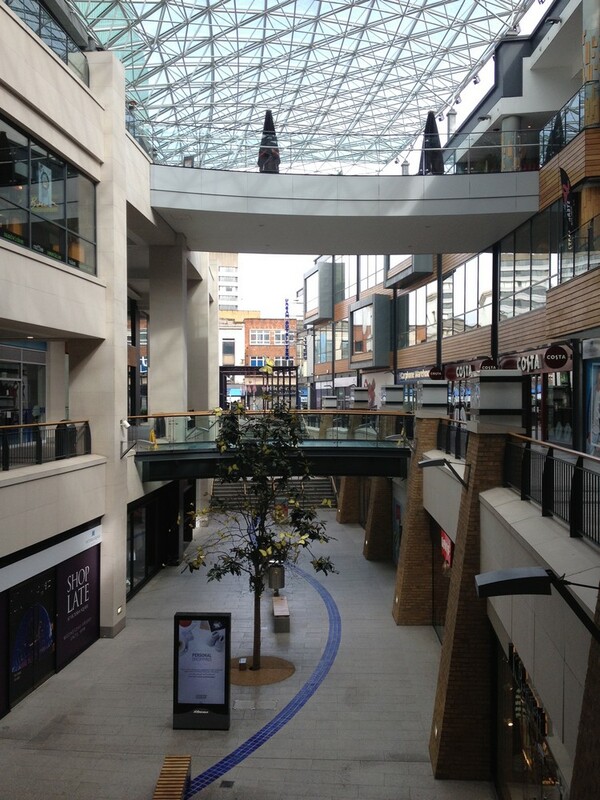 The colonnaded streets which converge on this over-scaled public space are not fully enclosed as in a mall. Rather, they are sheltered by oversailing glass canopies which protect shoppers from the rain and wind. The streets’ form significantly reduces the scheme’s carbon footprint by avoiding the substantial energy consumption necessary to heat and cool such a large space. 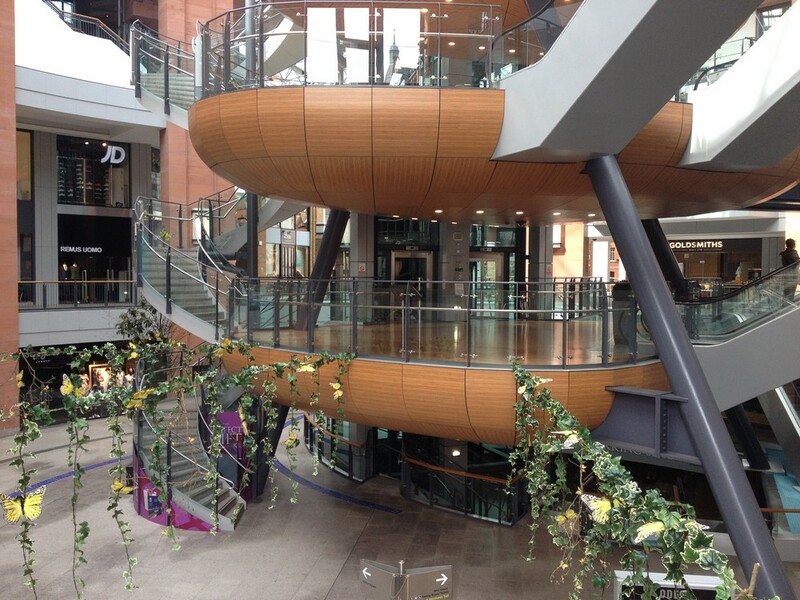 Victoria Square is an ambitious exercise in urban regeneration. The completion of such a large scale project in Northern Ireland could not be better in terms of its political and economic timing. 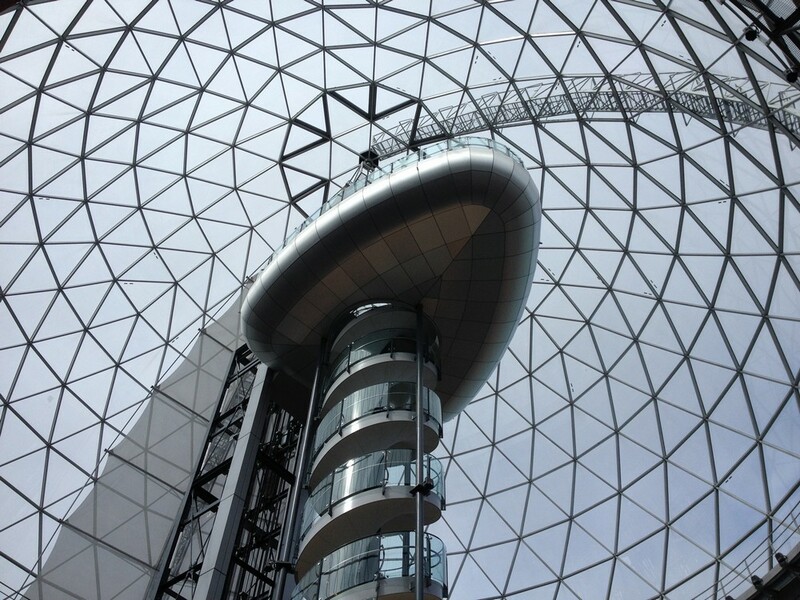 It is a symbol of a new found pride, and it is already serving as a catalyst for positive development in the city. BDP was commissioned on a full interdisciplinary basis as architect, landscape architect, planner, civil & structural engineer, mechanical & electrical engineer, acoustic consultant.